“Come back. 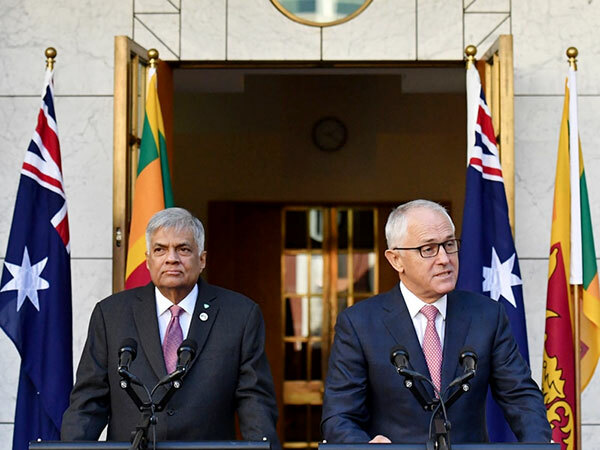 All is forgiven,” Wickremesinghe said as he stood beside Malcolm Turnbull in Canberra on Wednesday. Asked about those who might prefer to remain in the camps than return in fear for their safety, he insisted they were mistaken, pointing to a newly established missing persons office in his country. “Some of them have left from places where conflict didn’t even take place,” Wickremesinghe said. “All of them are not even Tamils and even we want all the Tamils to come back. We should not make a mess of ourselves like they’ve gone and done in Europe and the Middle East. Australia and Sri Lanka shared a number of bonds through their history, Wickremesinghe said. Wickremesinghe’s comment comes as Australia increases pressure on failed asylum seekers on Papua New Guinea’s Manus island and the tiny island nation of Nauru to return home voluntarily, including offering large sums of money, amid fears a deal for the United States to take refugees has collapsed. Only five men from Nepal on Manus have so far opted to leave despite the threat of deportations. Australia does not publish details on the nationalities of the 1,152 people held on Manus and Nauru though refugee advocates said there are approximately 150 Sri Lankans detained. Many of these would have received their refugee status, advocates said, but for those who have been rejected, they face the choice of accepting the offer of cash from Australia or the threat of deportation. Despite the assurances from Wickremesinghe, refugee advocates said many Sri Lankans would be reluctant to return home amid reports of mistreatment of members of the ethnic Tamil minority, a claim Wickremesinghe rejected. “It is quite safe for them to come back… we want all the Tamils to come back,” said Wickremesinghe. This shows how ‘stupid’ SL’s foreign policy analysts are ! The Australian PM is about to be dethroned within the coming weeks due to his ineffectiveness and poor performance, by his ultra right-wing, Nazi like Immigration Minister. When that happens, Australia’s refugee problem where refugees are housed in appalling conditions under the care of ill-disciplined hired thugs posing as guards, will be solved overnight. The ultra right wing, Nazi like leader of Australia will ensure the disappearance of many who are refugees housed in the islands. Then, maybe, SL PM can extend the services of his dead-duck Office of Missing Persons to the islands.